Vasant is a Banking & Financial Services professional with 19 years of industry experience. He has worked in different areas of finance including Equities, Corporate finance, SME lending, Risk. Vasant has been involved in helping clients implement analytics within their organizations, and possesses vast industry experience in multiple roles such as Consulting, Product & Services delivery management and Client & Stakeholder management. He started his career in Equities Sales trading @ ABN AMRO, India and later moved to a corporate finance role, raising Capital and conducting project financing for an Indian Business House in Singapore. He later founded and ran his financial start up in Singapore for 3.5 years, focusing on SME Risk assessment and Credit Administration, which was acquired by Adventity Global Services in 2007. 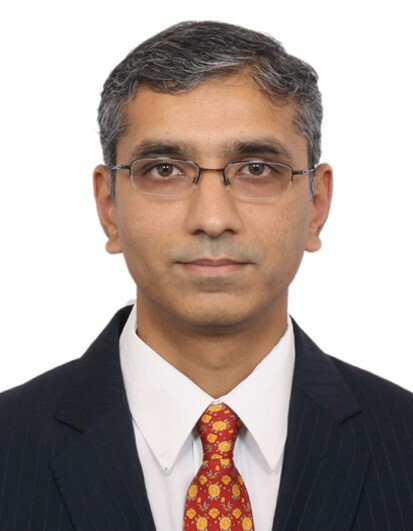 In Cognizant, he currently heads the BFS Analytics business that caters to the analytics needs of BFS clients globally and is responsible for P&L management, Delivery, Solution building and people management. He has been instrumental in building product solutions that have won multiple Innovation awards in Cognizant in 2014. He has also consulted leading Banks in the world on several topics such as building & implementing mortgage default strategy, assessing analytics maturity and creating Analytics roadmap. He has significant strength in Idea generation & innovation with an ability to identify business opportunities that can be monetized.